Liam Neeson is the iconic hero. He saved his daughter in ‘Taken’ (2008) and then years later he saved his wife in ‘Taken 2’ (2012). 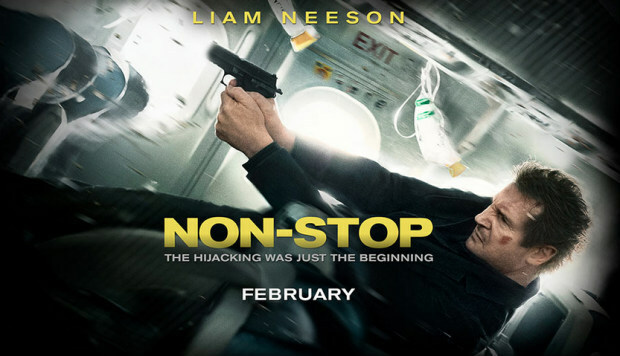 This time he’s United States Federal Air Marshall, Bill Marks, in ‘Non-Stop.’ On an international flight to London, he has to save all the passengers from a anonymous hijackers. Neeson set the bar with Taken. As a result, it’s quite difficult to comparably make cinematic connections with his other works. He recently lent his voice for the box office surprise “The Lego Movie”, but Non-Stop gave us typical Neeson; high action, bravery, and investigative deployment. I enjoy when he saves the day, even if it is predictable. The film, also starring Julianne Moore, Michelle Dockery, Anson Mount, and Lupita Nyong’o, is attention-grabbing, suspenseful and full of surprises. Despite the cliche ending, ‘Non-Stop’ holds up to its name with its never-ending curve balls of suspects and blame. 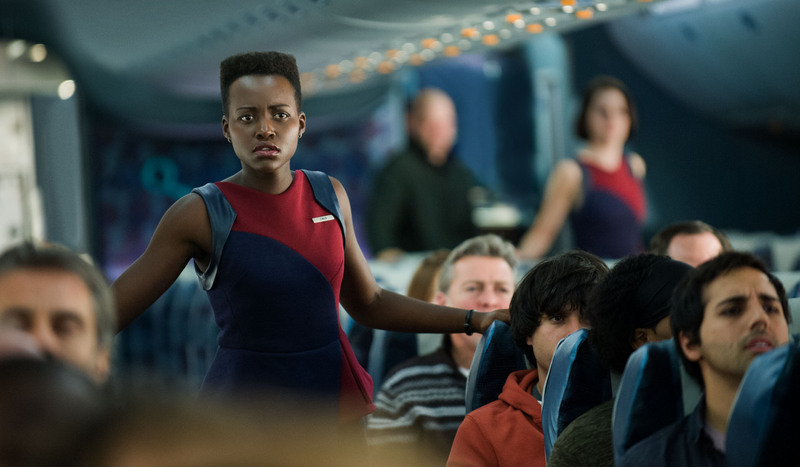 Although she had a smaller role, African-Mexican beauty Lupita Nyong’o graces the movie with her presence. She could not have uttered more than a few dozen words in the movie, but I was excited to see her again. She hasn’t failed yet and every one of her red carpet looks are better than the previous one. Nyong’o’s recent fame hails from her inaugural role as ‘Patsey’ in Steve McQueen’s ’12 Years a Slave.’ She has already snagged several awards, including the NAACP Image Award for Outstanding Supporting Actress and 37 other acknowledgments. This past Sunday, she was bestowed the most prestigious award; the Academy Award for Best Supporting Actress. 3.5 Stars: The suspense, and Liam Neeson of course, is what keeps the movie alive.